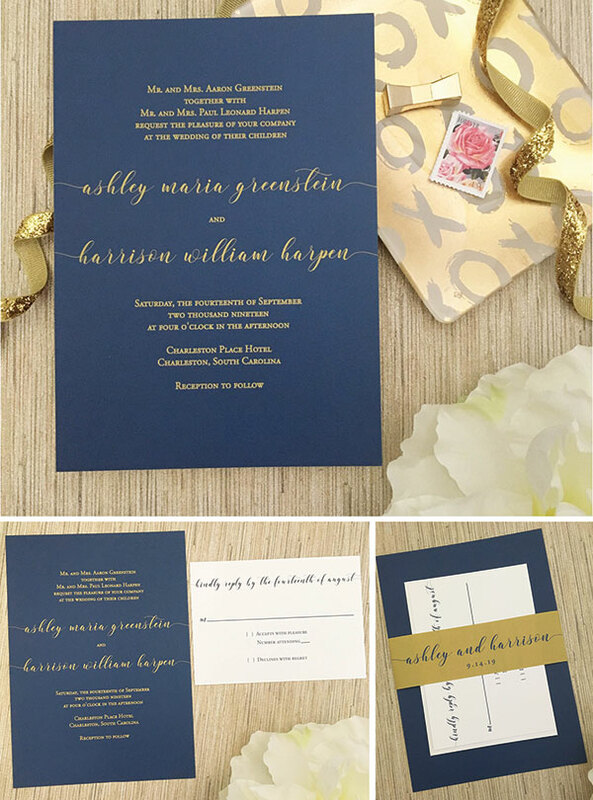 The crisp gold printing on the super bold navy is totally fabulous on our new bold wedding invitation suite! We kept the rsvp card white of course so you can read your guests responses and tied everything together with a perfectly polished gold belly band. We used the same script flowing off the page on the invitation and rsvp as we did on the belly band, showing off this super fun script!